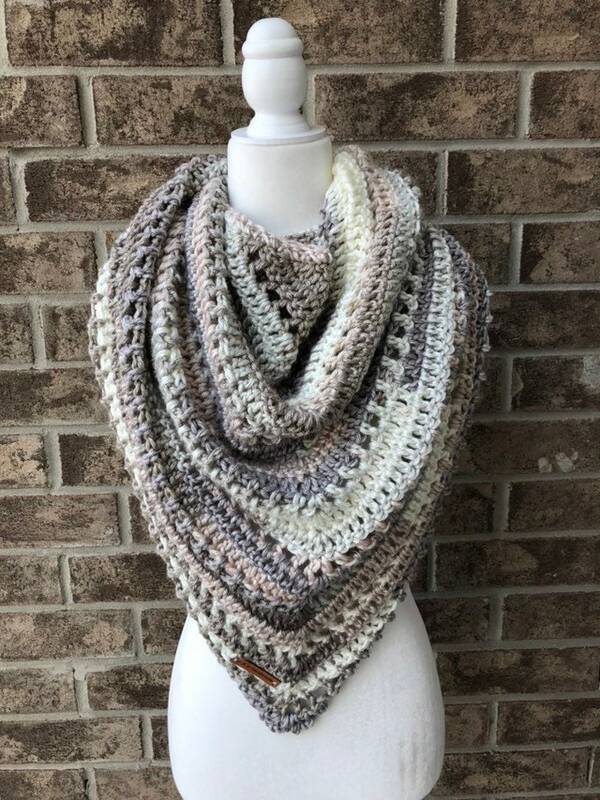 A handmade, beautifully draped triangle scarf. 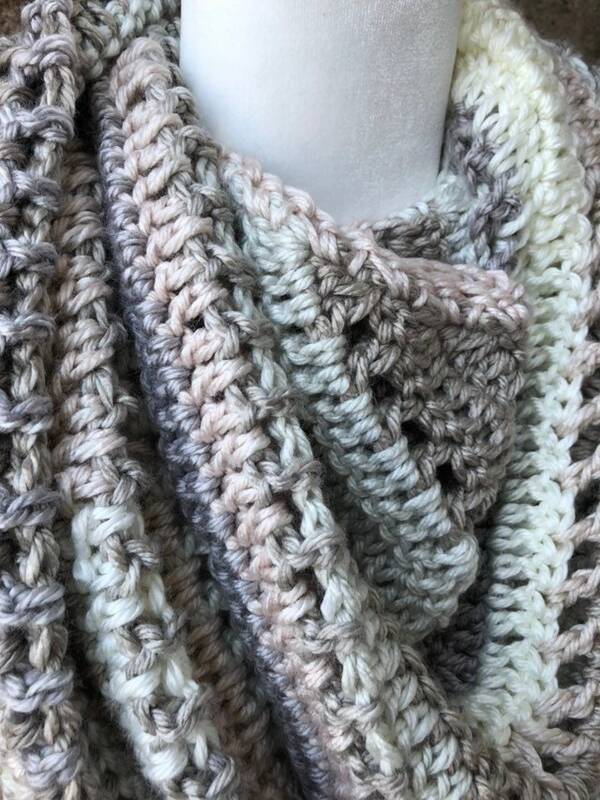 The perfect transition scarf from cool to warm, and warm to cool weather. 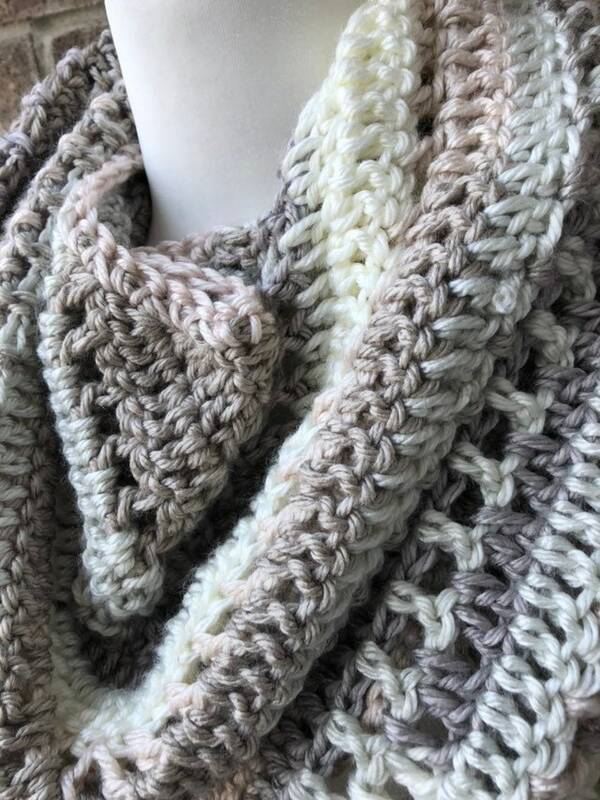 Made of 100% light bulky (size 5) acrylic yarn. Shades of grey, cream, pink and silver. Wear as a bandana scarf to the front, or as a shawl around your back and shoulders. Measures 63” across at its widest, and 32” from top to pointed tip, not including tassels. Measurements are approximate.